At the Santa Barbara Plastic Surgery Center, our focus is to give you breast augmentation results that look beautiful, and natural. 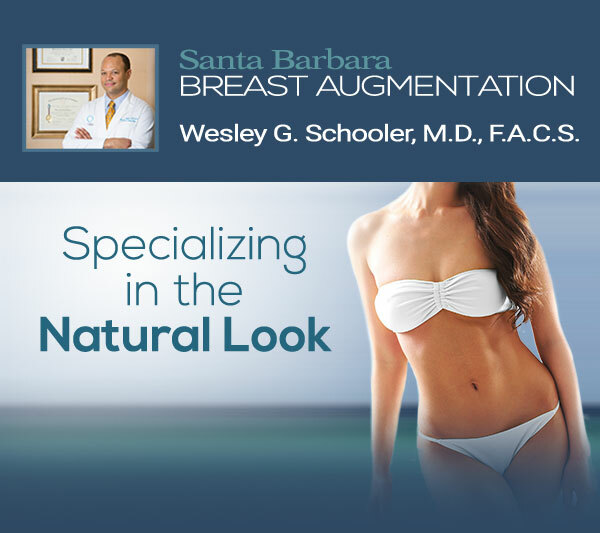 Wesley G. Schooler custom-tailors all of our breast augmentation and enhancement procedures to each individual patient, thoroughly discussing your goals and giving you options to determine the outcome that will meet your expectations. Keep up to date with our latest specials & promotions!